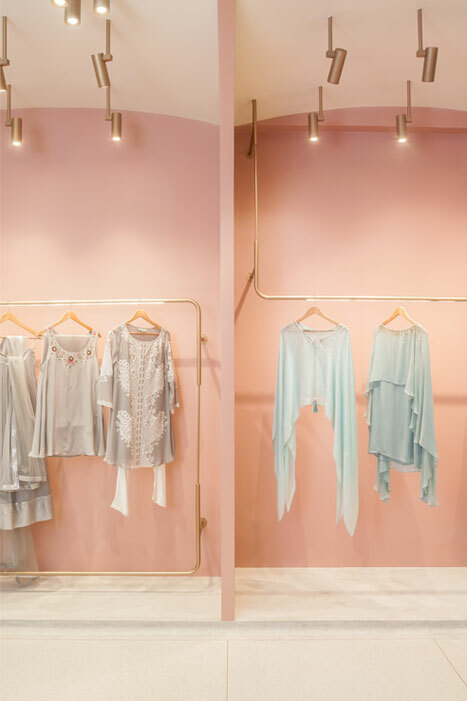 Seams, a fashion atelier situated in an industrial estate in suburban Mumbai for its inaugural store gave us free reign to interpret their brief and design. 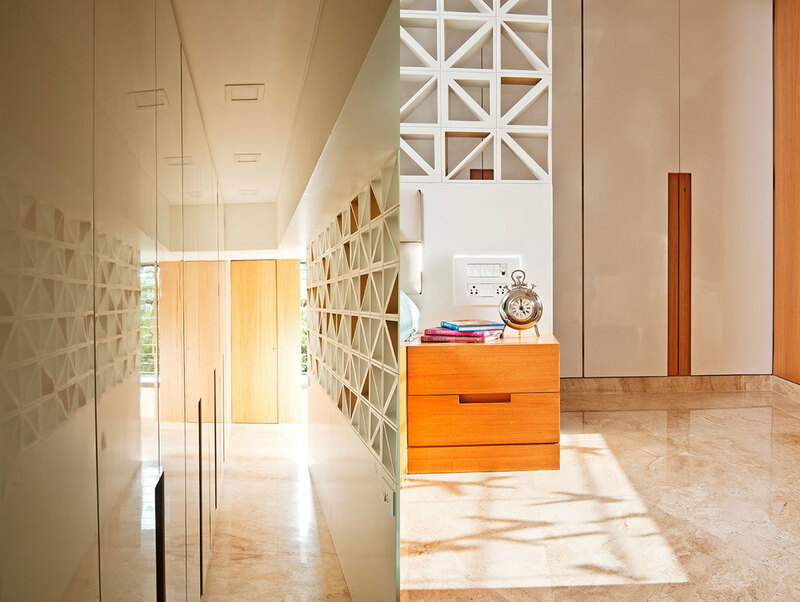 We visualized a palette of refined, delicate materials for this 900 sq.ft double height space with a partially recessed basement for storage of inventory and a mezzanine workspace. 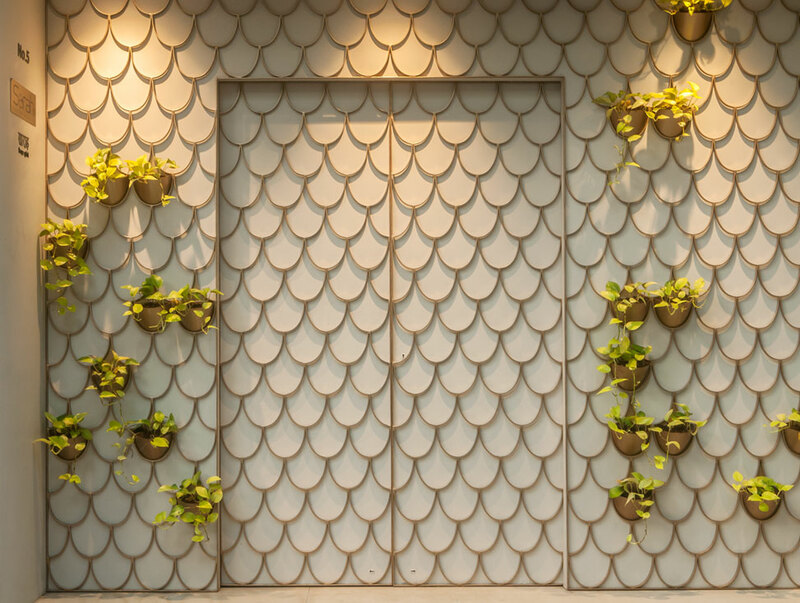 A veil like brass-hued facade weaves a narrative of the atmosphere and materials held within. 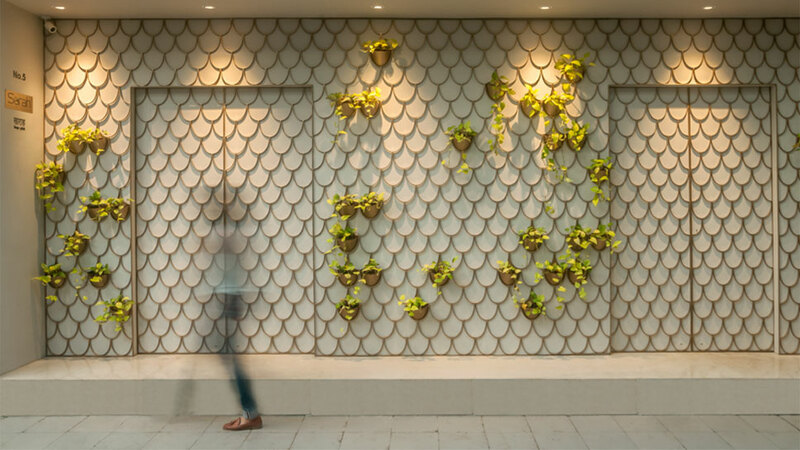 This modular facade is constructed from mild steel sections in a textural scalloped pattern that forms the outer layer of a screen, fused with a painted cement sheet layer. 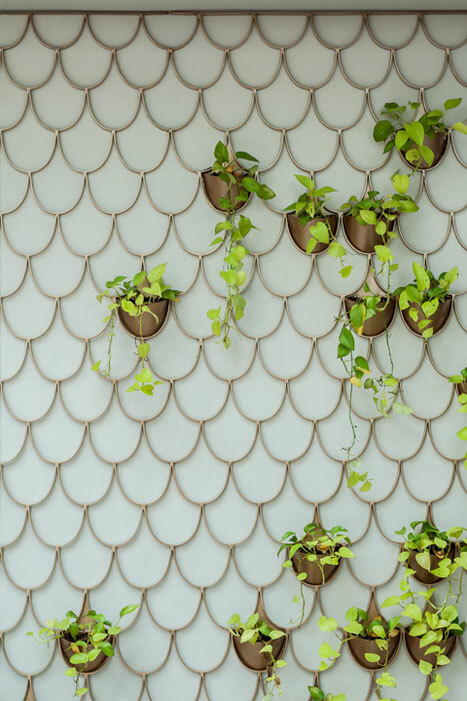 Some of the brass-like finished scallops are pocketed embracing plants. 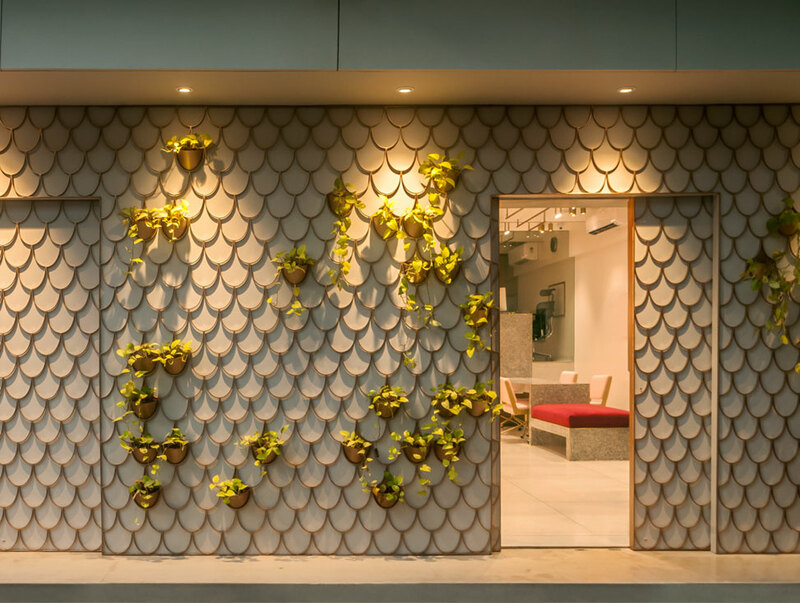 The space features delicate, feminine and strong elements. 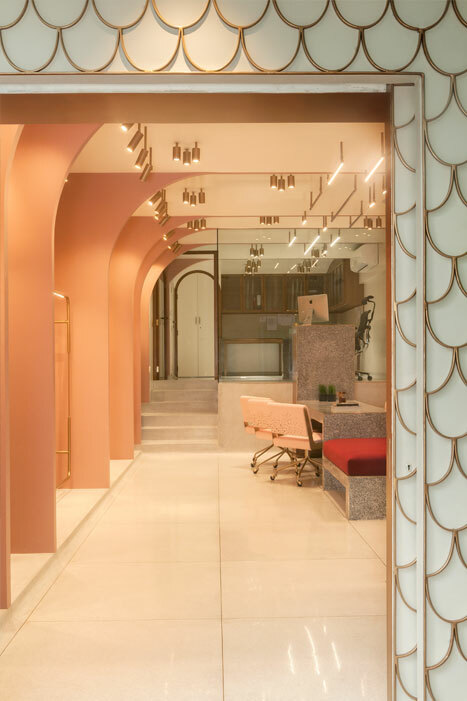 Inside the cuboidal volume, one is exposed to a palette of dusky pink-hued walls, silver grey-hued terrazzo floor and brass inlay; all of this amidst an architectural intervention in the form of an arcade of asymmetrical arches which extend into shallow vaults in the ceiling. 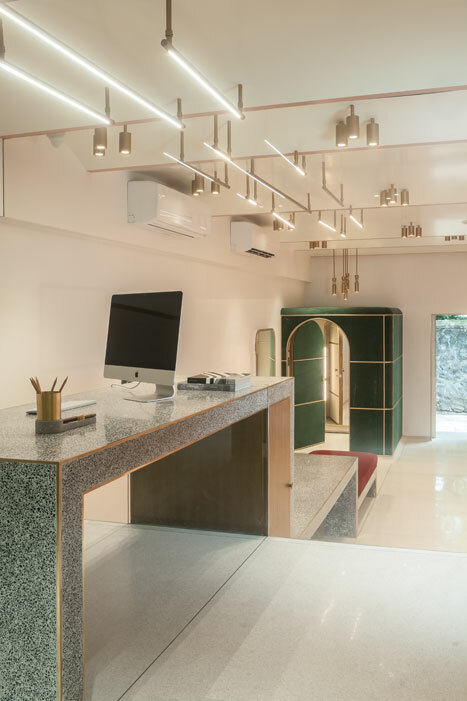 This arcade also systematizes and exhibits the ateliers' collection on brass-like finished floor mounted, wall and ceiling suspended self-lit hanging system. A sculptural terrazzo table cascades from the studio/ workspace level into the retail space to form a conversation table for discussing custom bespoke pieces which descends into a bench. 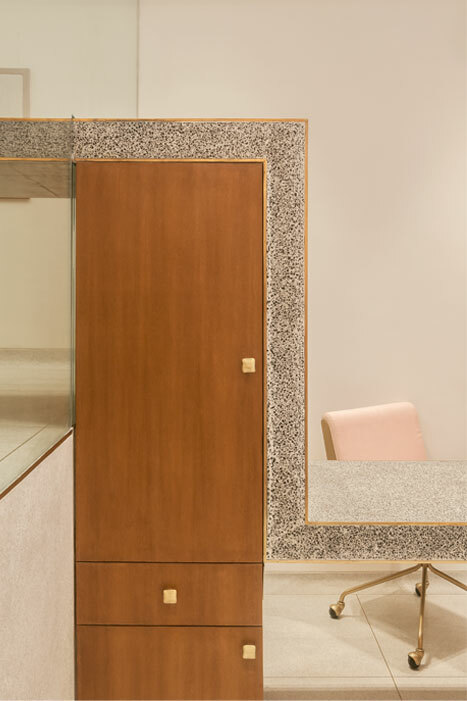 Terrazzo flooring found on the floors climbs the stairs and flows into the workspace with brass joints. 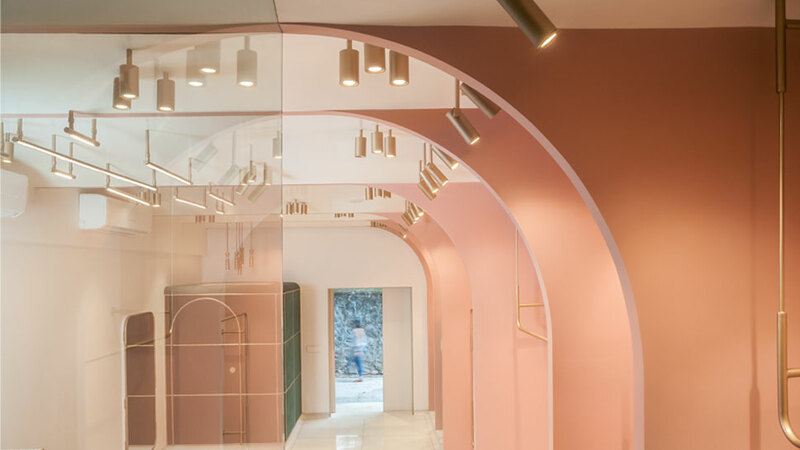 A jewel-box like fitting room sits in one corner of the space, wrapped in emerald green velvet fabric within a brass-like finish framework with a customized light. 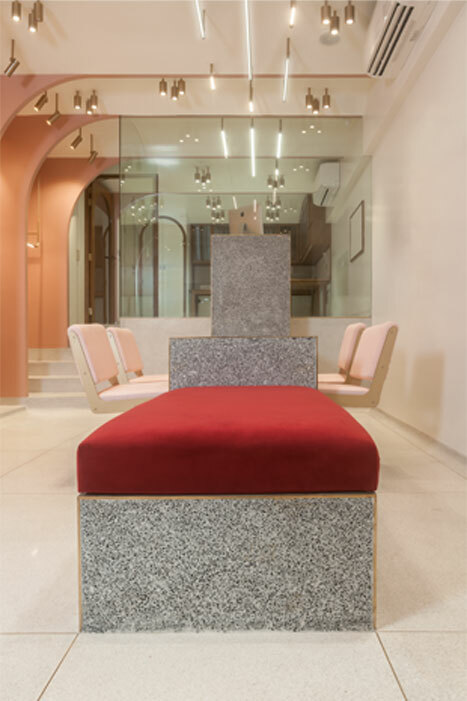 Contrast between the firm terrazzo surface and the softness of the embroidered upholstery and custom dull gold light fittings accentuates the unique experience.